Pulled Apart By Horses' Tom Hudson, "We have learnt a lot from our experiences and we have worked with different managers and record labels. We have achieved a lot. But in terms of where we are now, we just really want to write some more music, take more control, sometimes it gets really confusing when you have loads of other people around you and different opinions. It is easy to forget about the music itself." Being absorbed and getting carried away in one band’s music is easily done, especially when it is a really good band. Pulled Apart By Horses are one hell of a band. Not only are they a guitar music force to be reckoned with, they are also great people. Headlining the incredibly credible Liverpool Calling Festival later this week – Friday to Sunday - the high intensity alt rockers will be leading a superb bill of new emerging as well as more established bands who all demonstrate an enormous talent, promise and strong potential. 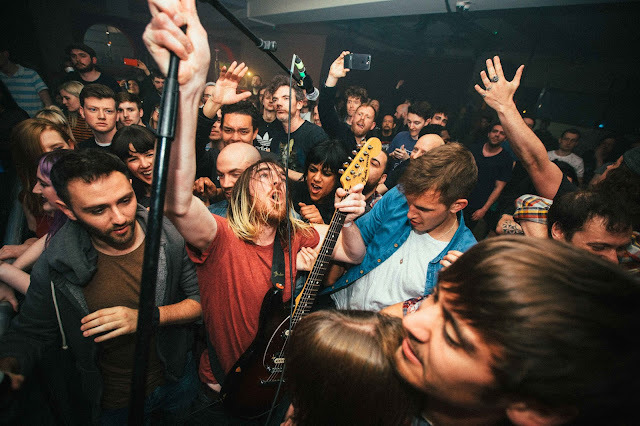 For ten years, Pulled Apart By Horses have been responsible for giving their fans and audiences some of the most immersive live music experiences out there but where does all that deep and intense energy derive from? Tom: We play live and make our own music and we really care about it and so we just end up getting the buzz from it and that comes across at our shows. With four studio albums behind them, ever since 2008 Pulled Apart By Horses have been responsible for writing, producing and performing live some of the best alternative rock and amazingly the quartet is still one piece. It’s All Indie caught guitarist and vocalist Tom Hudson and guitarist James Brown in order to find out more about what drives them as a creative collective, what keeps them together and continues to inspire and motivate them as a band. Does the fact that they recently added writing music for film to their work play a small part, do things like that make up part of the reason for their continued relevance and or is there more to it than that? We just had to ask that question. James: We are all really good friends who like the same sort of music. I think without that we probably would not still be going now. There is a lot of mutual respect, we are all close and I think with that comes a lot of good things. James: When we write music for example we write as a band, everyone enjoys the same, there is not someone sat in the corner with a funny attitude saying ‘I don’t really like all this garage stuff’. Without that we might have recorded a couple of albums and gone ‘I don’t want to keep doing this’. When new bands with some good tunes come out, we all tend to like the same ones. I think that is what makes us gel, we enjoy each other’s company and ideas. Being in and around the city of Leeds is more than likely to give a sense of having a strong creative platform. There is a community involving not only musicians but also visual artists and everyone looks out for and supports one another. Entirely non-corporate and highly independent, it is about passion, making and creating art. As former art students it only seemed natural to become part of the city's community and genuine DIY spirit. James: We just enjoy music, it is not about the money and that idea stems from that whole Leeds thing, everyone is just helping each other out. It is a big community thing and it is still there now. I think a lot of bands are the same. It is similar to a band like The Cribs, who have that same DIY approach. If they want to go on tour, they go on tour and they decide where they want to play and they are not following any sort of guidelines or anything. James: The DIY scene in Leeds when we started out was very wide, it was open and we were let right into it. There is no sense of hierarchy, there is no barrier. It is like if you want to start a band the people there will be help you to get gigs, hand out flyers, cook you dinner at a show etc. You know everyone is in it together and I think that kind of moulded our band, made us what we are now. That also means that we approach writing an album and touring in a more laid back way and do not only think about the end goal or vision, it is more like we want to enjoy doing it and that all comes from the scene in Leeds. Enjoying plenty of variety from album to album, the band tend to work with producers who are going to bring out the particular sound they are looking for. 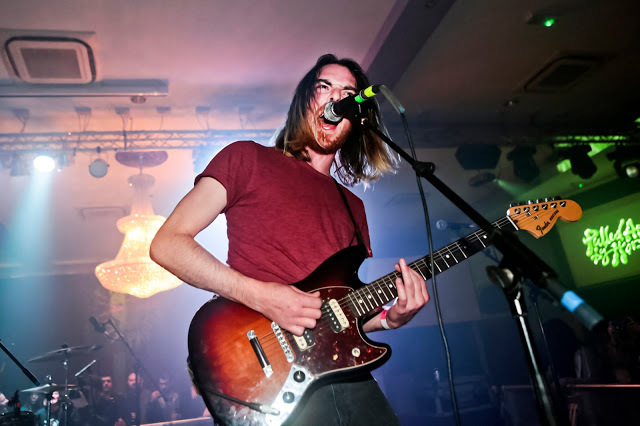 That Pulled Apart By Horses like to keep busy is beyond doubt and with their level of experience of playing live and working in the studio comes extensive knowledge and how to work with different producers. Having spent time with some of the biggest producer names in alternative rock, they know and understand the type of qualities a producer can bring to the process and what really works for them as a band. Working with renowned record producer Gil Norton (Pixies and Foo Fighters) on their album Tough Love and Ross Orton (Arctic Monkeys) on their album The Haze means they clearly have done more than purely dipping a toe in the water. Naturally the producing style and the subsequent sound on each album is reflective of the character, style and skill of the producer as much as the band. But what goes ahead of the recording work is not always as planned and thought trough as things might look from an outsider’s perspective. James: It is crazy how that all comes together, you do not really decide before. We kind of start writing and then it just happens. For example we ended up recording with Gil Norton, he had emailed our management and said he really wanted to work with us, we thought is was really weird and then two months later we were in studio with him. James: Equally, it was really cool when Ross Orton got in touch with us a while ago. Like, we thought it was going to happen years before that but it never did and then it actually did happen. He was like ‘I’ve got some free time in Sheffield' and we really liked the Arctic Monkeys stuff he had done before, all the rocky songs. So we don’t sit down and go ‘right we are going to work with Rick Rubin, let’s make contact with him’. James: Gil brought a lot of structure to our music and songs. Ross gave us the ability to have fun with it and relax, he was not too precious, we were able to work with him, he would never go ‘no you are not doing that’, whereas, Gil is a little more ‘I think you should do this, I think it would really help’ and that is kind of the difference between the two of them. The album we did with Gil was a rock album and the one we did with Ross was a bit more of a garage laid back album and that is why it works so well with each of them because Gil did Foo Fighters, a big rock album, Ross is cool at doing something a bit more laid back. 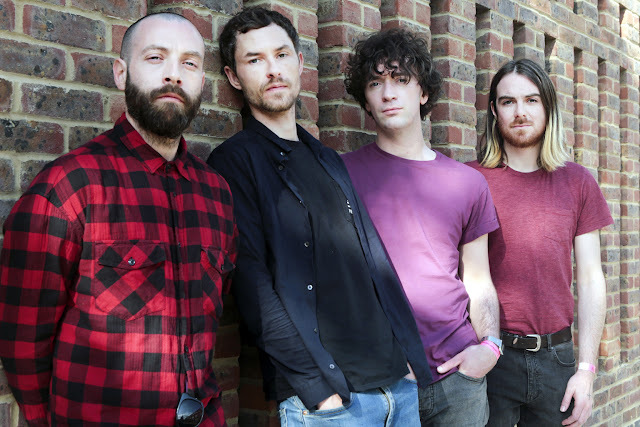 Naturally, Pulled Apart By Horses are super experienced in playing live, touring, entertaining large festivals and are more than used to headlining. But they also toured with The Cribs at end of last year. The two bands clearly have a lot in common and are quite similar in approach and attitude. But what was it like to be so close to the Wakefield three piece, touring with them as well as hanging out, being social with the Jarman brothers? Tom: They are weird in the best way possible. They are doing it right. I love them and I think they are amazing. They are different to us but they also come from a very DIY background. We played with them at Leeds Arena and they turned up in a little van like a Mercedes Bentley, they ate Pot Noodles on the road but they were like playing an arena tour to about 10,000 people, that is really amazing. James: They are also super-humanly good at Street Fighter II, it is insane, going by how good they are at playing that game when we saw them on tour, you could be forgiven for thinking that is all they get up to but of course that is not true. but it is non ego based and it shines through in their attitude towards the bands who get to support them at shows. Tom: l watch as many support band sets as I can. What usually ends up happening is that I get nervous about twenty minutes before we are due to go on stage so whatever bands are our main support I will watch the first half of their set and then start pacing around nervously, just walking around. James: If you don’t get nervous there is something wrong, it is part of the whole thing, it is like adrenaline. If you are not nervous, it is almost like you don’t care enough. Tom: Weirdly, the more tricky ones tend to be the smaller gigs. The bigger the stage, it seems like you lose that connection with the audience. When we played main stages at like Leeds and Reading and similar festivals, it was totally awesome but it is very different with the audience as they are about fifteen meters away. A fifth album is well on its way and Pulled Apart By Horses have been working on recording and writing new material. Once again, they are determined not to repeat what has gone before, they are looking at different styles and influences this time. James: We want to go for a bit more of a garage rock vibe next and we all knew that when we wrote it which meant that when we did go in to record, it was easy to convey that and to produce that type of sound, the way we wanted it. we have been talking about Iggy Pop a lot and we need to finish writing the material but he is very influential. James: Iggy Pop likes to write in raw power style, quite in your face with some fairly old retro sounding stuff including not doing loads of takes, just use material the way it is. I think it will be pretty cool like that so when it all comes together, we will get it done over the summer, it will be cool for us to go ‘here is the record’, not even do singles just go ‘we are putting an album out next week’, do something like that, surprise people a bit. Tom: Every time we do an album we always sort of like change it a bit, it is like in-between each album there is a long time, even if there is not, if it is like a year or whatever you listen to something, so much stuff and want do something different each time, so we always just try and change it around. Tom: It is always going to have a similar vibe though because it is basically the same guys doing it but I think with the next one we are looking at doing something more stripped back and a bit more raw, not overly polished or overthought, just like however many songs we decide to go with, just bang them out. Despite not being one hundred set on a record label yet, there is no need to worry, this will get sorted once they have finished recording. They really like the spirit and vibe of Transgressive Records where they released their debut Pulled Apart By Horses as well as second album Tough Love. James: We do love Transgressive Records, it would be really great to work with those guys again, they really get us and we are friends with them all, it would be nice to go back to them, make another record with them. But who knows? We will be glad to get it done and then see who is interested. James: Things are changing all the time in music. I think record labels are far more cautious about who they work with now but they know us and we have been around the block a while. We would like to think people are not going consider our next single is going to be less good than what we have come up with previously, we have been doing it for so long and we are just going to keep doing it, so hopefully the labels will have still have faith in us. No doubt a really good record label is going to want to put out Pulled Apart By Horses' fifth studio album when it is ready for release later this summer. Surely, one thing is beyond doubt, a lot of people are going to be fully behind this authentic, creative and original four piece from the wonderful city of Leeds.